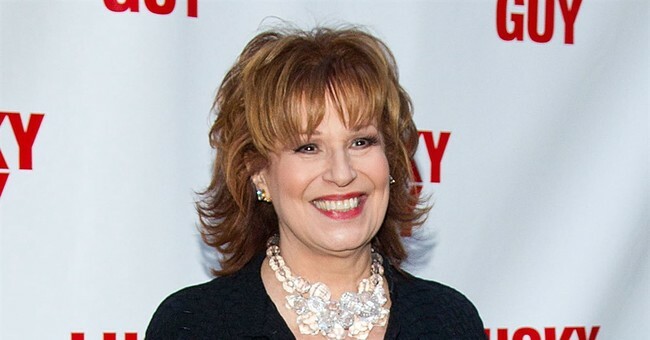 Joy Behar apparently doesn’t think very highly of women who support President Donald Trump, according to a report by Fox News. And she’s not pulling any punches about it, either. On Tuesday’s episode of The View, the outspoken host openly criticized and insulted women who consider themselves Trump supporters. The contentious remarks came during a discussion about the president’s stated desire to use a “softer tone,” in order to appeal to more women voters. “Who knew he was such a psycho?,” Behar reflected. “I liked the guy in a way," admitted Behar before quickly adding that she no longer holds the same positive feelings towards the president. "It’s like, ‘Oh he is a New York character.' And now you know..."
The ABC host, it turns out, was also a guest at Trump’s second wedding to Marla Maples back in 1993. Behar continued on to say that the reason the state of New York didn't vote for Trump in the 2016 election was because they believed him to be a "beast." "We know the beast, we knew him," Behar claimed. "He's a con man. The New Yorkers are hip to this and the rest of the country, they didn't really know him the way we do." When Behar was asked whether she believed the president had changed from the days when they used to joke together, she replied that, "Obviously, I never thought that he would be this bad, never. Even before he won, I said, 'Well, if he wins, God forbid, he can’t be really such a maniac.'"